The programs continue to progress and grow in Uganda, under the skillful care of the 40+ Ugandan staff team. The lack of space at the facility is making life increasingly difficult, but we are hopeful that there will be some progress in this regard soon. We will communicate more about this issue in the coming weeks. MH Uganda welcomes Emily, a volunteer from Adelaide, who is assisting the community team with developing monitoring and evaluation systems for the community programs. The MH Uganda Community Team is currently running the Abahabuzi B’ebyamagara (or AB - village health advisor) program in two villages. Each month the ABs learn about a new health issue. They then implement healthy strategies in their own homes and support ten others to do the same. One village was recently focusing on diarrhoea management and prevention. By the end of the month new latrines had been constructed around the village with the help of ABs, and were quickly put to use. A welcome additional outcome was that the sub county administration (local government) saw the benefit of this construction and ruled that all households in the village needed to have latrines. They even decided to implement latrine building in other villages where the AB project is not currently operating! Mwesigire Richard is a farmer, is married with two young children, and has been supported by the program. Richard said that the AB program has resulted in improved health outcomes in his family and community. He has learnt beneficial information and practices around malaria, boiling water for drinking (which he wasn’t doing before), having a hand washing facility near the latrine, and the importance food hygiene practices. Richard is thankful to Maranatha for the changes in his household as a result of the program: ‘‘The program has equipped us with knowledge on health and since it began we have not had any sickness at home’’. Behind the scenes, the team is carrying out a comprehensive review of the program and its outcomes, evaluating what needs to adjusting/changing, before it is rolled out in further villages. A researcher from the USA and volunteer from Adelaide (Emily) are working with Kim and Community Team to develop comprehensive monitoring and evaluation systems. The clinic is running smoothly and in May saw 630 outpatients, admitted 204 inpatients 204 and performed 1189 lab tests. Health issues are multi-dimensional, especially in poor communities. For this reason clinic staff often work with the community team to tackle problems at their roots (literally!) The kitchen garden is one example of this. Malnutrition is a major problem in Western Uganda, and a leading cause of sickness and death in children. While many rural families grow crops, there is often a disconnect between growing vegetables and eating them for a variety of reasons: many families aren't aware of the nutritional importance of vegetables, so often don't grow them or eat them; those that do grow them tend to view their crops primarily as income, and eat only what does not sell; and other families are limited by their land size and a belief that growing vegetables requires a lot more land than they have. The key aim of this as yet experimental program is to improve the nutrition of families (and specifically children) by increasing the variety and amount of nutritional foods that they are growing and consuming (especially foods rich in protein, iron, vitamin A and other essential nutrients). A demonstration kitchen garden site has been set up at the MH centre, and families - specifically families staying on the ward with children diagnosed with malnutrition - learn through practical involvement about foods that are useful to grow, and agricultural techniques for growing these foods, as well as how to harvest and incorporate them into family meals. Now when a child is admitted to the clinic with malnutrition, their families leave with an arsenal of ways to maintain their children's wellbeing. 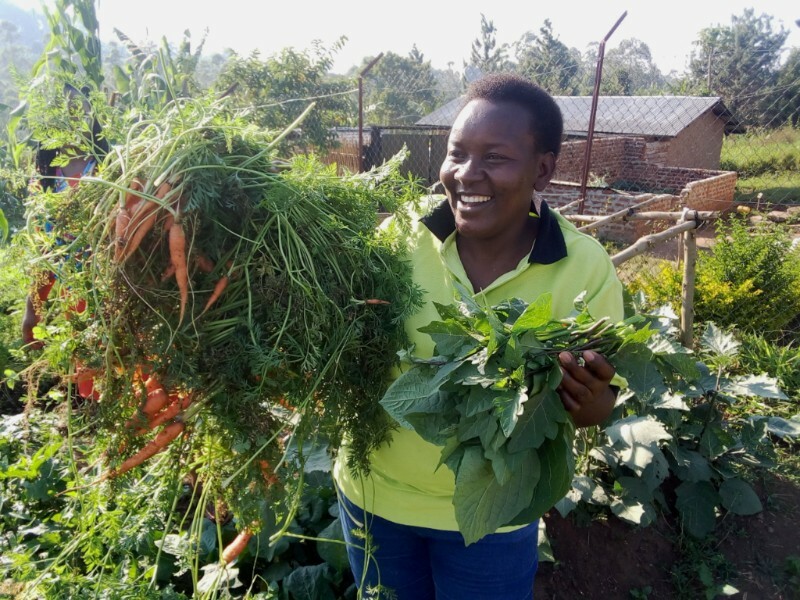 Follow up in the community suggests that people are slowly changing their behaviour and increasing the amount of nutritious food they are growing and giving to their children. ii. Use of technology that is appropriate for the climate /weather, topography/terrain. Ensure good drainage and/or use of water. Ensure soil erosion is managed. iii. 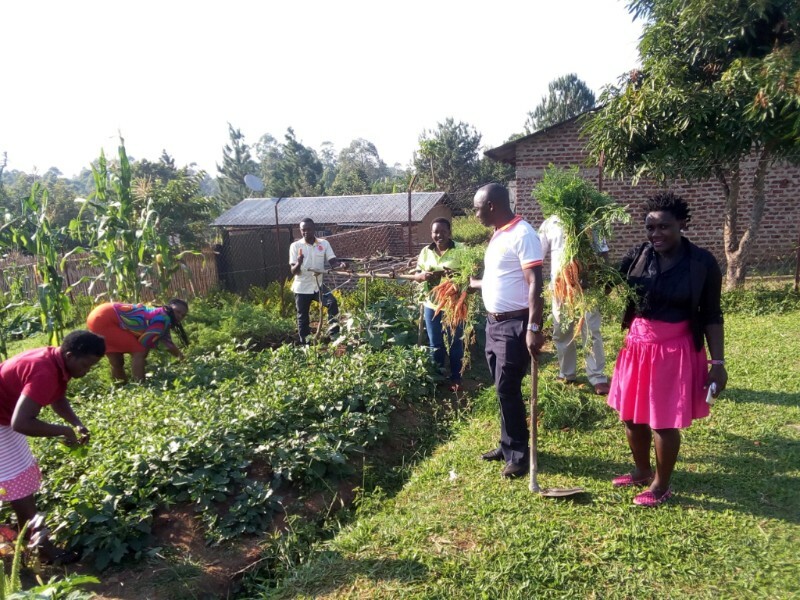 Best practices in agriculture such as use of mulch and green manure. We have just completed a capacity building program with another clinic in the area. In this clinic we primarily tested the effectiveness of a quality and supported administrator, and how this might have a flow on effect to different areas of care at the clinic. Joshua (MHU's lab and pharmacy manager) is preparing a report based on the results, which will then inform the range of supports we can offer to the next clinic.